SPA will host stand-up comedian Lewis Black at 8 p.m. on Thursday, March 29 in Eisenhower Auditorium. John Bowman will be featured as the opening act. Tickets are free to students with a valid Penn State photo ID beginning Monday, March 26. Based on availability, tickets for the general public may be available for free starting Wednesday, March 28. These tickets will be available at the Bryce Jordan Center Ticket Office, HUB Information Desk, Eisenhower Auditorium and Penn State Downtown Theatre. Students may receive two tickets per ID. This show will kick off SPA’s annual April Fool’s Comedy Month. More acts will be announced at a later date. 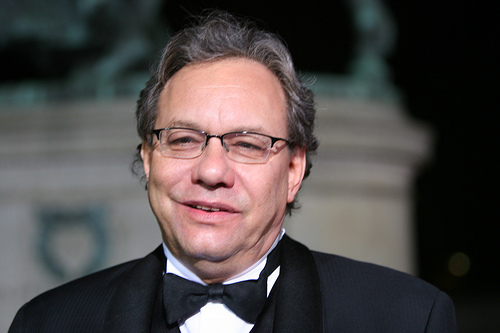 Lewis Black is considered one of the most prolific and sought-after performers working today. This gifted comic, actor and author is one of only a few to sell out prominent theatres such as Carnegie Hall, Lincoln Center, Brooks Atkinson Theatre, New York City Center and the MGM Grand in Las Vegas. He performs over 200 nights each year to sell out crowds across Europe, New Zealand, Canada and the United States. He was the first stand-up performer to appear in concert at the Walt Disney Concert Hall in Los Angeles. “pissed off optimist” attitude sets him apart from a “mean-spirited” grouch. By enthusiastically expressing himself in ways his audience members cannot do in polite company, Black creates an atmosphere that yields a cathartic release. He has been compared to Mort Sahl, Lenny Bruce, and Bill Hicks. In 1996, Black produced “Back in Black,” a weekly rant featured on Comedy Central. The segment appeared on “The Daily Show” and became one of the most popular, longest-running segments on the show. Black also taped four specials for “Comedy Central Presents,” co-created “Last Laugh with Lewis Black” and directed “Lewis Black’s The Root of All Evil.” He continues to perform “Back in Black” on “The Daily Show with Jon Stewart.” In 2001, Black was named Best Male Stand-Up at the American Comedy Awards due to his popularity on Comedy Central. John Bowman, hails from Howard City, Michigan where he worked as a cook and later began his career by impersonating Groucho Marx and W.C. Fields. He then landed acting gigs in Lansing and New York City. It was there that he acquired roles in plays written by Lewis Black, whom he would later tour with.